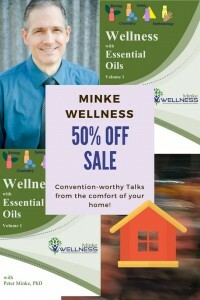 Whether you’re at Convention or at home this year, you can access top notch education on essential oils from an expert! And, save 50%, from now through Convention 2018! “Wellness with Essential Oils” DVDs in 2 volumes — by Dr. Peter Minke — national and international trainer, member of the Science Advisory Council, and independent distributor for Young Living for over 20 years! Discover and understand the basis for Seed to Seal — why it really matters! Gain skills to sift through the crazy things you encounter on the internet or news headlines. 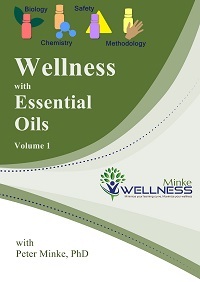 Find out from a long-time oil user, who is also a scientist, how to use essential oils safely for yourself and your family! 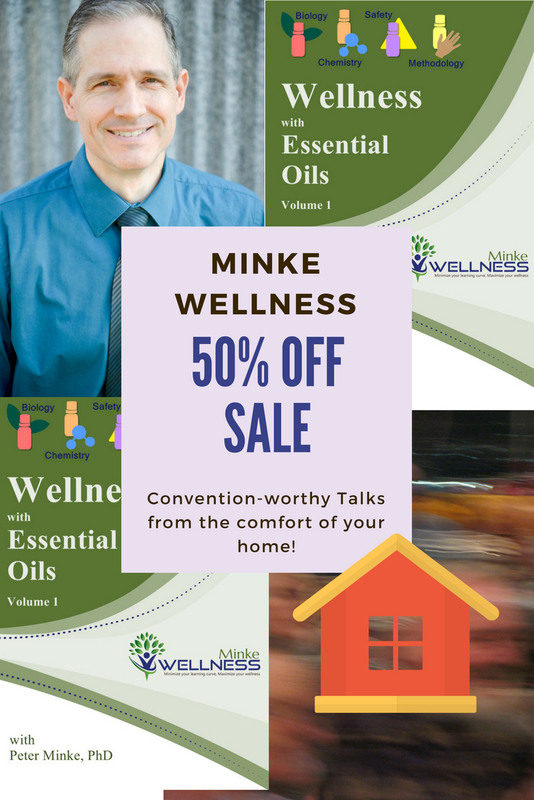 Dr. Minke discusses (in Part 3) using essential oils safely, including common controversies arising from the internet to help you be able to filter what you encounter online. In Part 4, Peter synthesizes the knowledge of essential oils with his 18+ years of using essential oils personally and professionally to share how to use the oils in your daily life. Note: DVD prices are already marked down on the ordering page — no special codes needed! This entry was posted in Uncategorized by Peter Minke. Bookmark the permalink.